I had some left over dates from baking Magic Hermits, so I decided to use them up in this old fashioned Date Square. 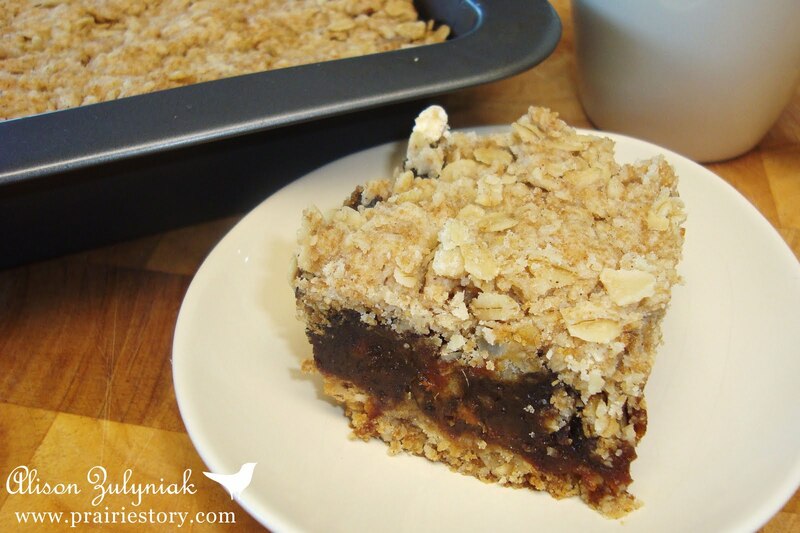 If you like oatmeal cookies, you'll like this slice! Great with a cup of coffee. - In bowl, combine all the first ingredients with a fork. Place approximately 1/2 of this mixture into a 9 inch square baking pan. Press down firmly. Save the rest of this mixture for top. - In saucepan, combine dates, water and sugar on medium heat. Warm and stir until filling is mushy and thickened. Remove from heat and stir in lemon juice and vanilla. - Scoop and spread filling over base in pan. Top with left over oat mixture and press down. - Bake @ 350 for 25 minutes. Cool, then cut.